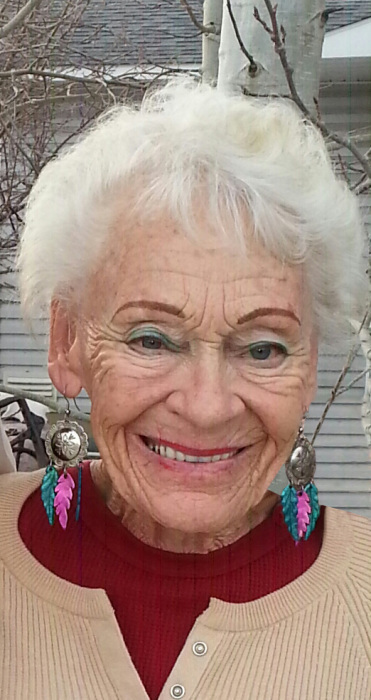 Obituary for Mary "Jackie" (Smith) Gerrard | Crandall Funeral Home Inc.
Mary Jacqueline “Jackie” Gerrard, 87, passed away Tuesday, April 9, 2019 in Evanston. She was born September 27, 1931 in Evanston to Enos Eugene and Ethel Faye Lake Smith. She married Gordon K. “Curly” Gerrard on February 24, 1951 and they later sealed in the SLC temple. Jackie was everything a mother and grandmother should be. She made scrapbooks of the family and enjoyed camping, 4-wheeling, walking and snowmobiling. She was a member of the Church of Jesus Christ of Latter-day Saints where she served as a service missionary with her husband as overseers of the Bishops storehouse and enjoyed working in the Young Women’s Organization. She was a telephone operator, bank teller and receptionist for Bear River Dental. Jackie was preceded in death by her husband, Gordon K. “Curly” Gerrard; a brother, Robert L. Smith and her parents. She is survived by a son, Brent G. (Susan) Gerrard and a daughter, Brenda (Russ) Heward both of Evanston; 9 grandchildren and 10 great grandchildren. Services will be 11:00 AM Saturday, April 13, 2019 at the Sage Street LDS church in Evanston. A viewing will be 6-8 PM Friday and one hour prior to the service Saturday at the church. Interment will be in Evanston City Cemetery.